Hey hello all, Have you ever wondered where dogs came from are they descendants of wolves or how in the world did we end up with so many different breeds? Has a child ever asked you where dogs come from? Now most of us would mostly answer this question to a child from the mother dog, but for some, this would not be what they really wanted to know especially if they are older than two or three. Instead of giving them a complete history lesson with all types of technical terms this post might help to answer this question for not only them but you as well. The real story is the origin of the domestic dog is not clear even if it has been linked to the genus Canis, which forms part of the wolf-like canids, and is the most widely abundant terrestrial carnivore. Extant gray wolf is the closest living relative of the dog there is no evidence of any other canine contributing to its genetic lineage. Modern wolves are not closely related to the wolves that were first domesticated, archaeological records and genetic analysis show the Bonn–Oberkassel dog buried beside humans 14,200 years ago to be the first undisputed dog with disputed remains occurring 36,000 years ago. The domestic dog was the first species and the only large carnivore to have been domesticated. However, the timing, geographic locations, and ecological conditions that led to dog domestication have not been agreed upon. Small woodland foxes grew bigger and better adapted to running, and by the late Miocene, the first of the genus Canis had arisen – the ancestors of coyotes, wolves, and the domestic dog. Some remained in the trees, while others came down from the trees, learned to walk upright, developed larger brains. These wild animals in the more open country learned to avoid predators while becoming predators themselves. The ancestors of humans and dogs ultimately met in Eurasia. The problem in attempting to identify when and where domestication occurred is the possibility that the process of domestication occurred in a number of places and at a number of times throughout prehistory. 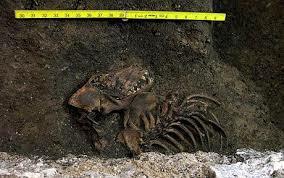 Early dog remains have been found in different parts of the world. This suggests that dog domestication may have taken place in different regions independently by hunter-gatherers, in some cases at the same time and in other cases at different times, with different wolf subspecies producing different dog lineages. Therefore, the number of dog domestication events is not known. A maternal m DNA study shows that dogs fall within four clades, indicating that dogs are derived from four separate lineages and that there was no single domestication event. Wikipedia has a very long write up on where domesticated dogs originated and in highly technical terms and locations but no one has agreed with any of the information provided there. From The Atlantic I found they feel that tens of thousands of years ago, before the internet, before the Industrial Revolution, before literature and mathematics, bronze and iron, before the advent of agriculture, early humans formed an unlikely partnership with another animal—the grey wolf. The fates of our two species became braided together. 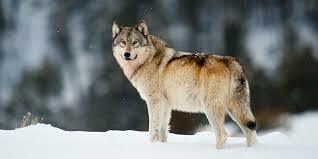 The wolves changed in body and temperament, their skulls, teeth, paws shrank, and their ears flopped. They gained a docile disposition, becoming both less frightening and less fearful. They learned to read the complex expressions that ripple across human faces and they turned into dogs. Scientist and archaeologist have not been able to agree for years when dogs became domesticated or how the breeding between different species happened to arrive at the breeds of dogs we now know today. DNA has been collected from many fossils from all over Eastern Asia, China, India, and even here in the Western World trying to pull all the genes is like “a completely homogenous bowl of soup”. They agree that all dogs, from low-slung corgis to towering mastiffs, are the tame descendants of wild ancestral wolves. But everything else is up for grabs as to the origin of where they first came from. I am of the belief that all dogs are descendants of the wolves but I have no proof just from observation of having had a gray wolf from the young pup age until full-grown. With inbreeding all the other types of dog creatures here on earth as the fox and coyotes then you would have many breeds come about with different sizes and personalities. Breeding today continues to have the type of dog people are looking for in size, color, personality, traits, and many other aspects which breeders keep trying for. Crossbreeding the proper way can produce a completely new breed of dog that people can fall in love with and become very popular, but if you do not know what you are doing or how to properly breed the animals please do not try this. When dogs first became domesticated I feel it was a two-fold man was looking for companionship and a type of animal that could protect his livestock. Wolves would fit into this category well knowing what I know about wolves. My gray wolf was the peacemaker of the pack of dogs I had at the time, although he would play and join in with the pack he was always observant in a protective way. This is some of the information concerning how the domesticated dogs came to be, with the scientists and archaeologist not really being able to agree on where exactly the first wolf became domesticated. They do agree that the DNA that has been collected from all over the world from bones that have been dug up from thousands of years ago tract back to wolves that were bred once domesticated. With the world changes and evolution all creatures have changed to manage to survive for hundreds of thousands of years, climate changes will affect us all in the future and we will evolve to keep our species alive when the time comes. What is your opinion on how domesticated dogs came about? What part of the world do you feel they were bred in and then brought to the western world? 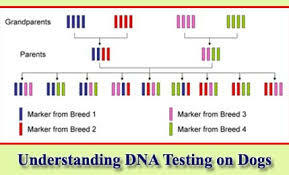 How many times do you think the interbreeding occurred for us to have all the breeds today? It would be great to know how others feel about the subject, please leave answers, questions, suggestions, and comments in the space provided below. I will always get back to everyone! Dogs are such fantastic pets! I’ve never really given much thought as to where domesticated dogs come from, though I wouldn’t be surprised if my son starts asking me soon. It’s amazing to think that there are so many breeds descending from wolves. I wonder if dingoes would also have wolf DNA in them. You have a son and one day this question is going to come up now you are prepared to answer his question. I am going to have to look into the dingoes all the research I did never mentioned them and this is something that now you have me curious about myself. Thank you for stopping by watch for the post about dingoes coming soon. I too think the main influence on today’s domestic dogs come from the wolf. Many of them still look a bit like them. It is interesting to see how early the mixed breeds started to come up, means how early humans chose to have dogs as their companion. There must have been many influences on the dogs DNA for having small breeds like Chihuahua and other very cute species today. It’s not easy to see how that could start from wolfs and foxes and alike. Thanks for stopping in and checking out the article – to answer your question about the tiny breeds and how they came about. When you want to create a smaller breed dog you then breed the runts of liters making their off- spring small yet as people keep doing this the breed ends up smaller each time. This is how teacup breeds came into existence today – but I do not feel that dogs need to be this tiny those little ones have many health problems. Thanks for checking out this article I love my dogs and when I had my wolf he was simply the most wonderful amazing animal. Look forward to more posts about him and another one about dingoes have a follower wondering about their heritage. Very interesting article about where dogs come from. They do look a lot like wolves. I do not believe that everything is as it appears. If dogs came from wolves where did cats some from, Tigers, lions, cheetahs? Dogs may be closely related to the wolves like cats are related to thier wild counterparts. This is much like the belief that humans came from apes. It all depends on what you believe until there is some sort of proof. Where did domesticated dogs come from Is a very good and informative article. I always thought dogs and wolves were related but now that reading your article. I really do believe over all the years they are related and the dog we have now is really man’s best friend because it changes is whole outlook and appears to be with man. Thank you for this wonderful and inquisitive article I really learned a lot about domesticated dogs and where they come from. Thank you guess adults as well as when children ask now have more of an answer to where dogs did come from. Researchers are still working on this with all the DNA that they are collecting from skeletons from thousands and thousands of years ago but I am sure someday they will find the answers. First I want to say after reading about the origin of dogs domestically it was a surprise in the fact they possibly came from grey wolf’s. Friends of ours has one raised from a puppy and he is so smart and in their pack of 5 dogs he is certainly the alpha lead dog. His instincts are still somewhat wild yet he has never bothered his master or hurt any in the pack he is protective of. By wild I mean he has protected farm animals from coyotes, and foxes, and yet has hunted and killed small game like rabbits and he said squirrels. Personally one needs to respect and know their dog, and they will be loyal to you. Our present dog uses a coat in the winter in mid Ohio, and also after many tries found the right booties. Our beagle Dalmatian mix has very little pigmentation on her pads, and she can not be in weather below 25 degrees F without out hurting. I tell every dog owner to consider older dogs, and sensitive breeds getting a coat, and maybe booties. 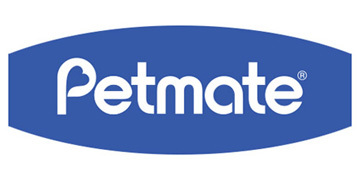 Great site, and have referred to several other owners to get ideas for their pet. Thank you for reading the articles on my website so far research has shown that DNA proves gray wolf so far is related to dogs today but they are still digging and doing more research someday I am sure we will have all the answers but for now this is as far as it goes. Good to hear that you are always looking for ways to make you best friends more comfortable and taking care of them so well – they sound as spoiled as my three great to have fellow dog lovers taking so much care with them. Great post! I’ve enjoyed having dogs around b/c they’re great companions, but I’m not up to speed on the history or the breeding side of dogs. To me, the dog that seems closest in appearance to the wolf is the German Shepherd. I was just around my brother’s German Shepherd and more than once when I glanced at the dog he reminded me of a wolf. Almost every time I go to the park, the vet, or the pet store, I am intrigued with the vast combinations of breeds out there. We have a rescue pup that is a Yorkie/Terrier mix. She’s nowhere near the wolf look, b/c she has lots of Yorkie markings and traits, but…she is one intense hunter outdoors! That means we’ve had lots of adventures with our little hunter who doesn’t look like a hunter. Thanks for your interesting post! You are so right when you see the tiny dogs today thinking how did they come from wolves, but when you look at how many years of breeding have been going on then you can reach the conclusion. How they keep getting smaller with breeds is they use the runts of liters to breed together making even smaller dogs. Keep doing this for thousands of years traits and sizes change with the breeds. Thank you glad you found the article interesting. I love the puppy you have pictured on this article. I have a black and white toy poodle named Oreo and she is so tiny and fluffy. Such a purse dog. It is very hard for me to picture her as a wolf descendant or something ferocious once lol my little doggy. But I do wonder from time to time when exactly did we bond with our canine friends. I feel that they originated around in China / Afghanistan area many many years ago. The afghan hound is very old. I am not sure how much inbreeding had to happen but I know a whole lot because my little tiny tea cup doggy had ancestors that were a lot bigger than she is now lol. Do people still have wolves as pets now? What about foxes? I am sure a fox can be domesticated? If Raccoons can be domesticated than I would imagine so. Thank you all the dogs are sweet and so adorable no matter what breed they are. People are still trying to find the actual time when man and wolves started to co-habitat needing each other, we are talking many thousands of years ago so they are using DNA from many of the species they are finding. 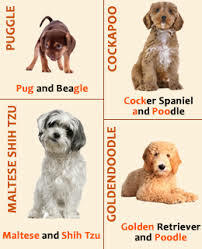 The breeding that occurs to make dog breeds smaller takes years of using the runts of liters to make them smaller and smaller then you have the different characteristics involved as well. Can be fairly complicated I am sure, but so happy we have our Best Friends here with us today.